Economic developers face an uphill battle to get site selectors and executives to visit their community and tour available properties. 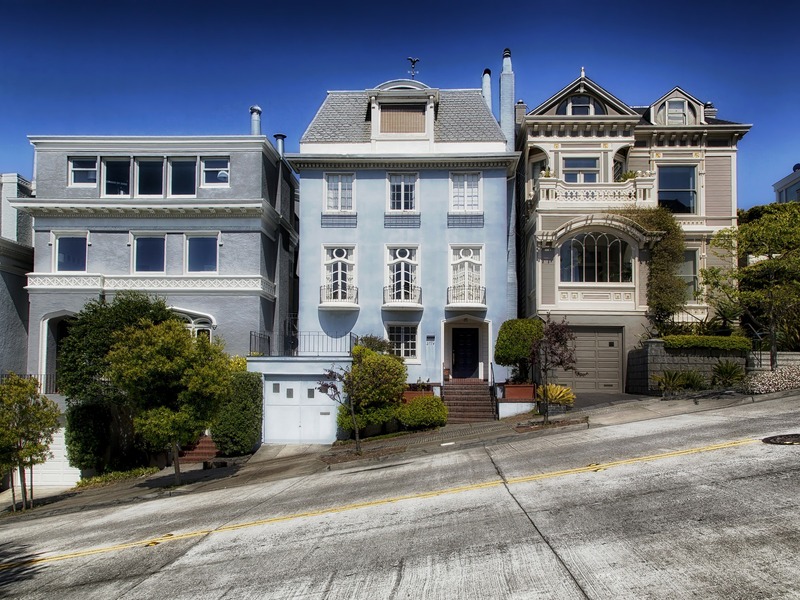 With site selectors scouting locations throughout the country, and potentially the world, it can take months or years of concerted efforts to arrange for a FAM tour. VR technology is solving this problem by making it possible for site selectors and executive to visit communities in the virtual world. 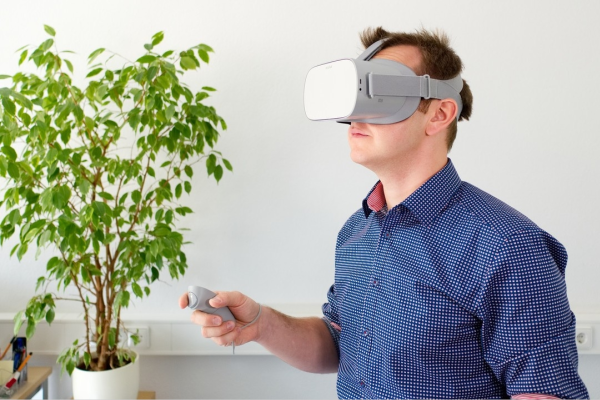 Minnesota-based communication firm Golden Shovel recognized the potential for virtual-reality to bridge the gap and make these connections possible. In 2017, the firm launched a new service, PlaceVR, making it possible for economic development agencies to create immersive 360 video for virtual familiarization tours. The process begins with the creation of a fully immersive, 360 virtual reality video. Working closely with the client, Golden Shovel Agency determines which sites and community assets to feature in the video. Then, the production crew visits the location, takes extensive footage of the area and records a script that walks viewers through the entire experience. Through careful editing, images are woven together to create a fully immersive 360 video that allows viewers to experience what it would actually be like to stand on the factory floor, walk a site, or tour or the community. The experience of entering a virtual space has been made more intense through the release of Oculus Go. This VR viewing technology enhances a viewer's experience to become even more immersive and realistic. With immersive audio and video, a viewer will feel like they have traveled to the community. 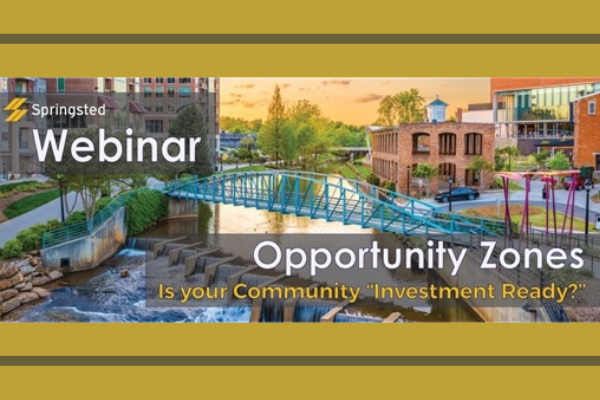 Golden Shovel Agency has used these VR videos to bring economic developers and site selectors together in virtual meetings. 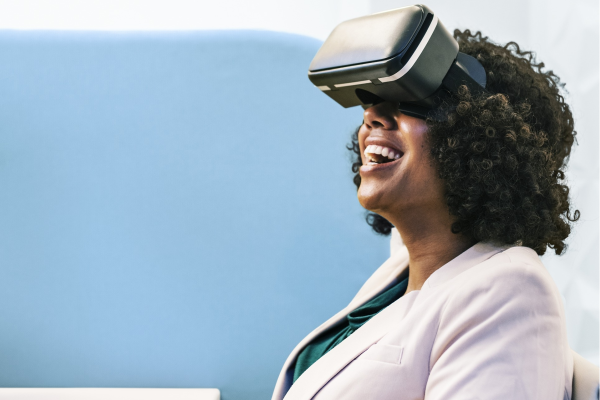 This is the cutting edge of virtual-reality technology because it allows economic developers to provide site selectors and executives with a personal tour, but in the virtual world. Together, they can explore the community, walk available sites, view community assets, and discuss these assets in real time. Instead of sending a site selector a link to view a video on their own time, these meetings can be arranged in advance. 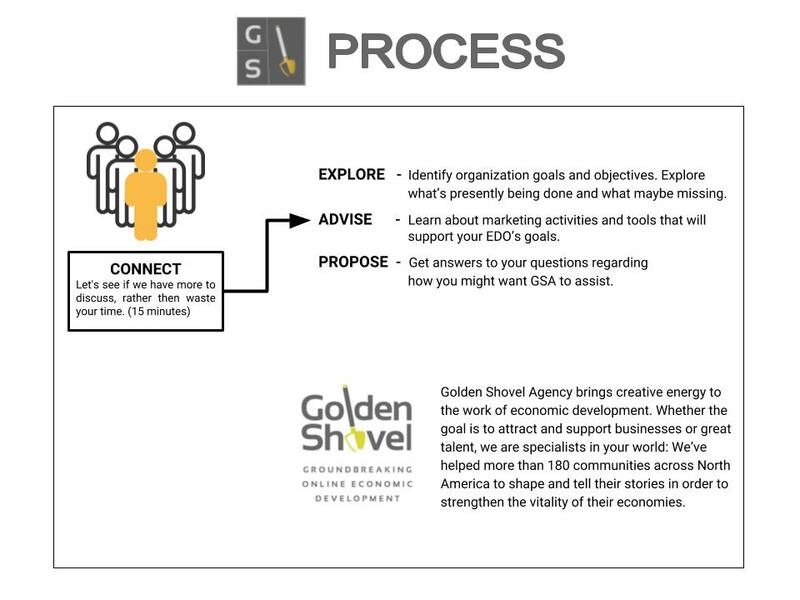 As Golden Shovel facilitates, economic developers are on hand to provide more information on the area, answer questions that may be relevant to a particular business and give site selectors the experience of what it would be like if they actually visited the community. This high-touch engagement is necessary for developing relationships and extremely effective for reaching site selectors and executives that may be too busy to physically tour a location. Brian Hanson, President and CEO of the Area Partnership for Economic Expansion (APEX), has utilized this technology to conduct virtual familiarization tours. “Our PlaceVR video combined with virtual meetings, provides a customizable way to give snapshot into the northland region we serve and to really take people there,” said Hanson.